Join us for an inspiring club breakfast at our community and coworking space at Alte Münze in Berlin Mitte. 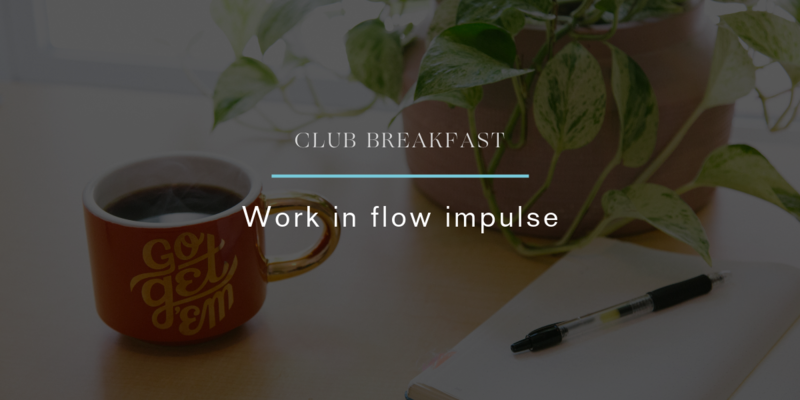 In addition to a hot cup of coffee and delicious breakfast, we get inspired by an impulse by Jana Wieskötter this Friday on experiencing pure flow! The session is touching all elements of your life experience: rational, physical and emotional elements. I am Business Consultant, Energy and Embodiment Coach. My vision is it to inspire businesses and individuals to become more successful by acting out of state of embodied authenticity, power and flow feeling truly connected to themselves. I draw upon my experience from over 9 years in marketing and sales at Unilever and as my work as coach to holistically combine cognitive, physical, and emotional elements to achieve true sustainable results. Breakfast is free for all CoWomen: Log in to sign up for the event. Jana will share a short impulse on how to live a business and private life in flow. We're opening up the discussion to exchange our perspectives.